It's not even the actual day yet, but that hasn't stopped retailers from going early on some excellent Black Friday game deals, and this might be the most useful one yet. 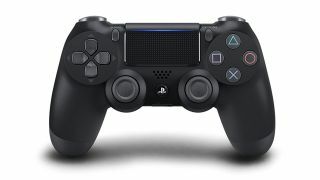 Amazon is offering the official PS4 DualShock 4 controller for £34.99 right now, which is down from the usual RRP of £44.99. Seeing as official accessories very rarely get discounted at all, this is big news for those looking for an extra PS4 pad. Plus, that price is available for the following colour options: black, green cammo, blue, red and the rather lovely Amazon exclusive copper. It might only be £10, but actually deals like this very rarely come along on official Sony kit. Plus, you're always going to need a spare pad right? Whether it's while you're charging the other one, or for cosying up to your pals for a sofa session with one of our best co-op games. Sure, there are cheaper, unofficial, wired pads to pick up, but you can't beat the official pads. You can guarantee great quality, longevity and an all round classiness with these bad boys. And if you want more PlayStation-themed goodies this spending season, then check out our constantly curated round-up of the best Cyber Monday PS4 deals.